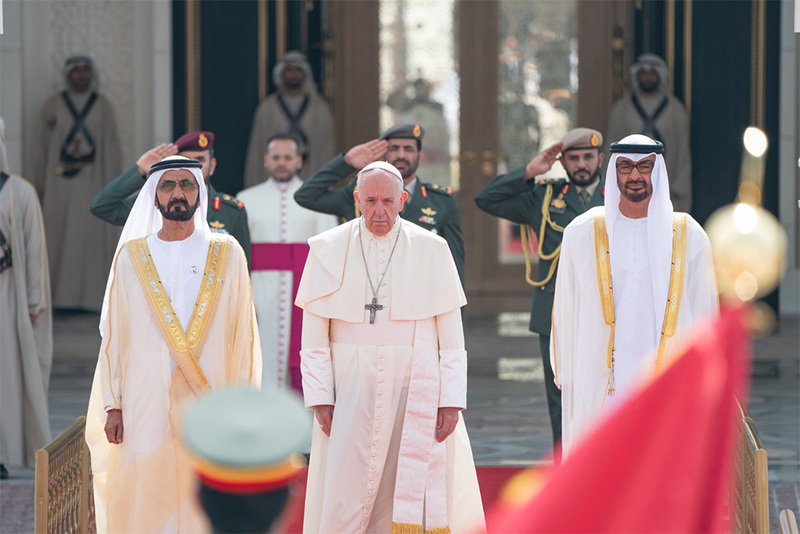 Pope Francis has arrived in UAE, marking the first visit by a pontiff to the Arabian peninsula. 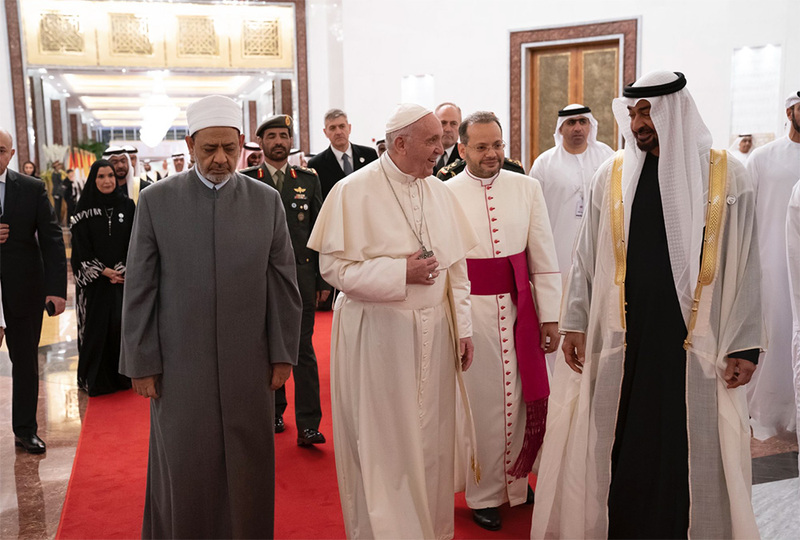 His three-day stay began with a welcome at the Abu Dhabi airport by Abu Dhabi Crown Prince Sheikh Mohamed bin Zayed Al Nahyan and Dr Ahmad Al Tayyeb, Grand Imam of Al Azhar Al Sharif. 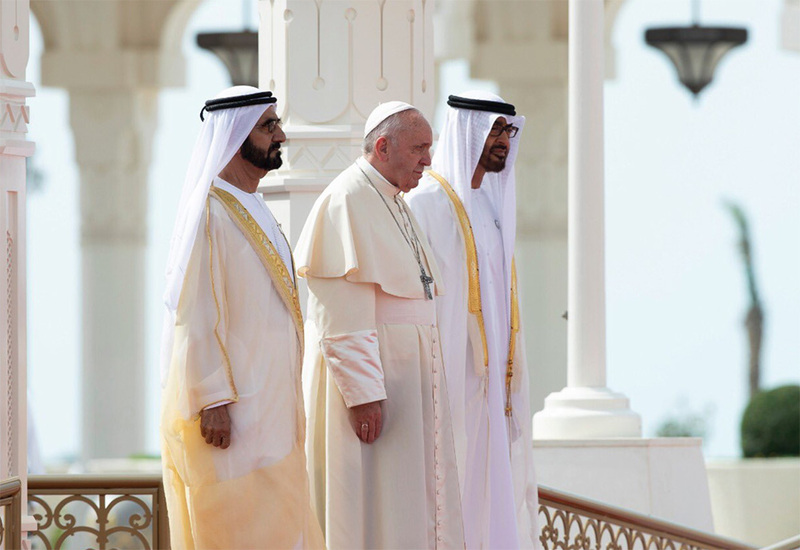 “The leadership & nation of the UAE are proud of this historic visit of two greatly respected religious figures. 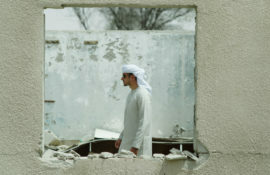 It embodies our belief in the values of love & tolerance as a pathway for humanity towards peace, security, stability & rapprochement between different people & culture,” Abu Dhabi’s Crown Prince posted in a Tweet. 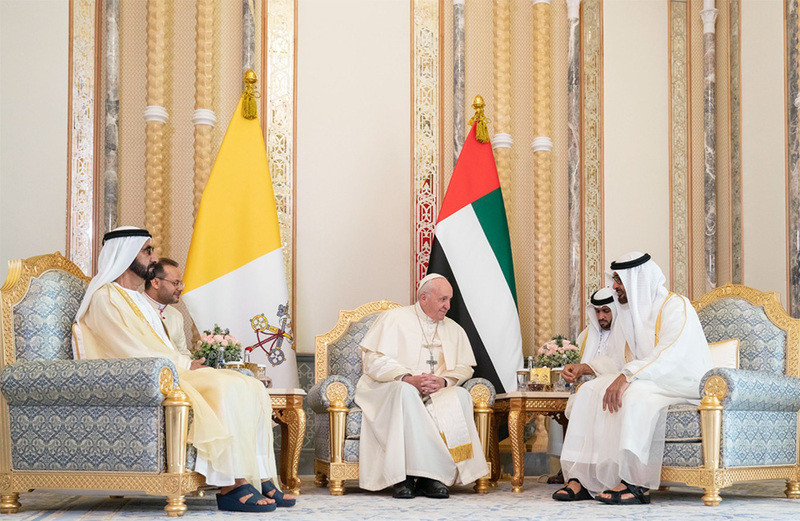 Tomorrow, the head of the Catholic Church will attend a Global Conference on Human Fraternity in Abu Dhabi along with the Grand Imam of Al Azhar, Ahmad Al Tayeb. He will then hold a mass in Zayed Sports City Stadium where he will be speaking to around 120,000 people who are expected to attend. His visit is guaranteed to send a message around the world that all people of all religions can coexist peacefully, and will further emphasise why 2019 was proclaimed the Year of Tolerance.